This month’s Full Moon Party is coming! Join us for our monthly Full Moon Party at Grain, featuring DJ Julian Rivera, glow sticks, lasers and all your favorite beers on tap. Come prepared to dance the night away to the beats of DJ Julian Rivera all night long. We'll provide the glow sticks, you bring the dancing shoes. 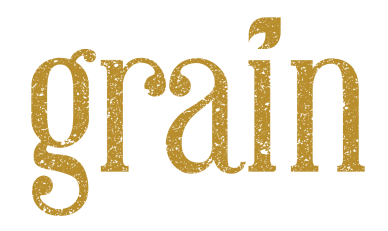 Starting April 16, Tuesdays are for Trivia at Grain. Each week from 7-9, Team Trivia will host the most happening trivia night in Norfolk. Be sure to check out our Facebook page for info on themes and prizes. Join us every Wednesday 5 to 7 pm as we feature new beer releases or brewery features! Enjoy food and flight specials, half off Growler deals and stick around for live entertainment starting at 7 pm. Enjoy drafts, wine and small plate specials every weekday. Acoustic, rock, country or dance; we play it all in Norfolk's only rooftop beer garden. Norfolk’s popular rooftop craft beer garden isn’t just for craft beer lovers anymore. With a newly refined menu and stunning views of the city and downtown waterfront, Grain at The Main has quickly become the go-to destination for Sunday brunch.